WestJet has introduced self-service baggage tagging for those flying to the US from Vancouver, Edmonton, Winnipeg, Toronto and Montreal. Having launched the same service in November in Calgary, WestJet becomes the first Canadian airline to introduce this bag tagging on non-stop trans border flights. Self-service baggage tagging allows WestJet flyers to use a mobile, the Web or a kiosk for checking in for their flight. They are then able to print their own baggage tags when they arrive at the airport. Those checking in via a kiosk may print their boarding passes and baggage tags at the same time; and once the tags have been attached, travellers simply drop the baggage off at the appropriate location. In most Canadian airports, WestJet flyers have had the ability to print their own baggage tags for domestic flights since 2010. Average air pollution levels from secondhand smoke directly outside designated smoking areas in airports are five times higher than levels in smoke-free airports. This is one finding from a study carried out by the Centers for Disease Control and Prevention. The study was conducted around five large US airports, which revealed that air pollution levels inside designated smoking areas were up to 23 times higher than levels in smoke-free airports. In the study, designated smoking areas in airports included restaurants, bars and ventilated smoking rooms. Overall, five out of the 29 largest airports tolerate smoking in designated areas that are accessible to the public. However, more than 110m passenger boardings (around 15% of all US air travel) occurred at these five airports during 2011. Although smoking was actually banned on all US flights through a number of federal laws (from 1987 to 2000), as yet there is no federal policy that requires airports to be smoke-free. Secondhand smoke can cause heart disease and lung cancer in non-smoking adults and it is a known cause of sudden infant death syndrome, respiratory problems, ear infections and asthma attacks. Even a mild exposure to secondhand smoke can trigger a heart attack. Whether the findings will persuade the authorities to look anew at smoker provision remains to be seen. The just-published 2012 ACI-NA (North America) Concessions benchmarking survey makes for interesting reading. Within its compass there is detail on the rise of the app, that useful item that allows travellers to quickly log on to all sorts of sites for updates and information. According to the survey, some 33% (that is, 32 out of 98 responding airports) now have a mobile application ready. It is also worth recording that of those airports that have a mobile application, over 70% promote concession offerings using these mobile platforms. In terms of how the app was developed, the most common route was that of a joint venture involving the airport and a third party: this accounted for 50% of responses. Close behind was the third party approach, with 44%. Chaos in store at US Airways? US Airways cabin crew have been threatening sudden strikes unless the airline management looks at agreeing new contracts for flights attendants. Staff have the backing of the Association of Flight Attendants-CWA and have held protests around the US in the light of the airline’s failure to agree on contracts for its cabin crew. The association says that flight attendants continue to work under separate contracts, in separate operations, some seven years after the merger of US Airways with America West. It further suggests that US Airways’ proposed takeover of American ought to be put on hold until US Airways has completed its merger with America West, and agreed a single contract for all attendants. Internal problems at American Airlines contributed to a slight fall in on-time departure statistics during the month of September. For the purposes of recording, to be on time flights have to arrive no more than 14 minutes behind schedule. According to the Transportation Department, some 83.3% of all flights were on time although this was slightly down from the figure of 83.9% recorded during September 2011. The best on-time performance statistic was recorded by Hawaiian Airlines, which totaled 96%. Runner-up was AirTran Airways, scoring 91%, whilst Delta Air Lines and Alaska Airlines rounded off the front runners with nearly 90% each. There were no plaudits for American Airlines, which only managed to post on time figures of 58%. American blamed its poor performance on a work slowdown by pilots, who have been unhappy that the airline has used the Chapter 11 bankruptcy process to trim their pay and benefits package. Concurrently, American Airlines also had the highest cancellation rate (3.1%), which represented a total of 1,304 flights. All the other major airlines submitting figures posted statistics below 1%. In all, American accounted for a third of all canceled flights during the month. On the other side of the coin, passengers reported a slightly lower rate of lost or mishandled baggage: in this context, wayward bags were a bigger problem on regional airlines. Conversely, the chance of being bumped from one flight to another grew over the summer period: this was up by 38% from July through September, compared with the same period last year. Reports suggest that major US airlines had a good second quarter in 2012. According to the Bureau of Transportation Statistics, the largest air carriers reported a 6% profit margin in this period, up from 5.3% from the same quarter in 2011. Once again, it was baggage fees that swelled the coffers. Overall, the industry set a record in the first half of this year, which saw in excess of US$1.7bn levied in such fees. Top of the tree was Delta Air Lines, which earned in over US$420m in the first six months of the year. United Continental was not too far behind. In the final analysis, Delta’s revenues stood at US$429m, with United posting a total of US$351m. In third place was American Airlines, despite Chapter 11, with US$288m. US Airways took the fourth position on revenues of US$260m. If these figures seem disproportionate, it is as well to point out that the fifth in the list, with a mere US$80m accruing from baggage fees, was Spirit Airlines. Whilst it has some way to go to start worrying the likes of US Airways, its latest initiatives (if that is the right word) will see it levy US$100 for a bag being checked in at the gate. That represents more than a doubling of the current fee of US$45. By doing this, Spirit is hoping that the new fee will persuade passengers to pay in advance instead of waiting until the day of travel. Within the carrier’s low cost, low service business model, current fees make up about 40% of its revenues. Kansas City Aviation Department is moving forward with plans to replace the existing triple terminal design at Kansas City International airport with a newUS$1.2bn multi-storey building. According to a US$4m case study carried out by the agency, construction on the existing site of Terminal A will not involve major highway reconstruction and would be completed in a shorter time compared to construction on undeveloped land. The study also revealed that a replacement terminal would be preferable because of its proximity to the main runway, the fuel farm, the cargo facility and the de-icer area. The project will be funded through federal grants, fees received from airline passengers and carriers and remaining from a bond sale. Separately, Port Columbus International airport is considering undertaking a three-year, US$80m terminal modernization program to increase its passenger handling capacity. Expected to commence in November 2012, work on the 835,000 square foot multi-faceted terminal modernization program will include enhancement of the ticket lobby, baggage claim and concourses A, B and C, along with mechanical, technological and security advances. Columbus Regional Airport Authority President and CEO, Elaine Roberts, said that some US$627m had been invested in airport enhancements, which included roadway, runway and baggage handling upgrades. Ten years – a suitable time limit? There was recently an unusual case at Charlotte Douglas International airport, where an employee was apprehended at work after it was discovered there had been a warrant out for his arrest. What was interesting in this instance was that the warrant for his arrest dated back to something that had occurred over a decade ago. In 2000, the man was accused of stealing from his employer in Concord. That same year he began working at the airport and was with Delta at the time of his arrest. The accused stated that he thought that the case had been dismissed. In consequence, the question of background checks has come under the microscope. A representative from the airport confirmed that in addition to the checks performed by Delta Global Services, the airport also would have followed TSA standards. Inter alia, these standards outline what would disqualify an employee from having unescorted access into secure areas and a number of potential crimes are itemized. The standards also say that potential employees cannot be convicted of any of such crimes within the last ten years. That said, there appears to have been no correlation between those standards and being wanted by the police. The case against this individual was actually dismissed because of its age and the fact that there was a lack of evidence. Whilst many bemoan the hard-nosed attitude that has come to typify the aviation sector, a few airlines, including US carriers, have been looking at ways and means whereby they can differentiate their product. Currently faced with competition from price comparison websites, they are trying to win back customers through a personalized service offering. To that end, IATA has been promoting an experiment that involves customized ticket pricing to include such factors as baggage fees and seat assignments. However, travel agents are concerned that such a “personalized price product” will entail difficult comparisons – and might lead to concerns over customer privacy. Under the terms of this new comparison plan, airlines could ask potential customers for personal information, which might include membership of frequent-flier programs, travel history or even credit card usage. Armed with this information, airlines could then tailor a ticket price to each passenger, one that would embrace, for example, meal choices, extra legroom requirements and seat preferences. Then, an intermediary would collect the prices offered by various airlines and furnish these to the customer. Currently, airlines say that they are unable to offer regular customers a lower price or eliminate a bag fee on comparison sites, simply because those potential customers are anonymous. IATA’s Tony Tyler sees this as a valuable opportunity for a revolution in airline retailing, and says that this plan would allow airlines to customize their offering, even through travel agents. The industry association has now agreed to move forward with what it terms a new distribution capability. This experiment is scheduled to begin early in 2013 and could be rolled out before 2016. Currently, around 40% of tickets are sold through airline websites and it costs the industry’s carriers significant sums annually to market their wares through these Internet outlets. On November 6, Pinnacle Airlines flight attendants, who were represented by the Association of Flight Attendants, ratified a six-year agreement that will see salary levels maintained, attendants in receipt of affordable healthcare provision and guaranteed job security for over 1,500 staff in all. The agreement includes US$6.4m in concessions demanded by the management through the Chapter 11 restructuring process. The agreement was reached with the assistance of the National Mediation Board. Southwest Airlines has opened the carrier’s latest Pilot and Flight Attendant crew bases at Denver International. The new crew base, which represents the airline’s ninth, will become home to nearly 400 pilots and 400 flight attendants, with a potential to grow if necessary. These lounges will be located on the third level of concourse C at the airport and will effectively serve as offices on the ground for Southwest’s pilots and flight attendants. Flight crew personnel stationed in Denver may use these offices before and after trips to receive briefings, access required reading material, learn about changes in policies or schedules and catch up on Southwest news. Southwest currently operates eight other Pilot and Flight Attendants bases nationwide, which are located in Baltimore/Washington, Chicago Midway, Dallas, Houston, Phoenix, Oakland, Orlando and Las Vegas. In addition to the crew bases, Southwest has also established a line maintenance operation at Denver: Southwest will staff this with six maintenance employees, who will perform routine maintenance as needed for flights flying to and from Denver. Security screening not up to the mark? According to an internal report, screeners at Newark’s Liberty International airport are correctly executing passenger pat-downs only 16% of the time. Moreover, the report has revealed that screeners identify and take appropriate action on prohibited items in only a quarter of all cases. Despite these negative findings, the report also states that in numerous categories, including the removal of prohibited items found during physical searches and the exhibition of good listening skills, screeners have been performing their duties correctly for 100% of the time on their shifts. (The report was compiled by a number of undercover teams of Transportation Security Administration employees from other airports, who observed the Newark Liberty screeners at work over a period of several months). The Board of Directors of the Greater Toronto Airports Authority has announced the appointment of Vijay Jeet Kanwar as Chair of the Board of Directors with effect from January 1, 2013. Vijay Kanwar has been a member of the Board of Directors since May 2006. He was appointed by the Province of Ontario and has served on the Planning and Development Committee, Audit Committee and the Human Resources and Compensation Committee. He was also involved with the Board search committee for the GTAA’s new CEO. ABM, a provider of integrated facility solutions, has announced a definitive agreement to acquire Air Serv Corporation for approximately US$158m in cash, subject to certain closing adjustments. Air Serv, when combined with ABM’s janitorial, facility solutions, security and parking airport businesses, will significantly expand ABM’s capabilities in servicing the end-to-end needs of the airlines and airport authorities, and ought to create an entity with in excess of US$650m in annual revenues. Founded in 2002, Air Serv has around 12,000 employees worldwide and is a leading provider of integrated facility management services for the world’s leading airlines and freight companies, at airports throughout the US and the UK. This rapidly growing company provides a range of janitorial, passenger, security services and transportation services to over 50 airports, including 27 of the top 40 markets in the US and 12 of the top 30 airports worldwide; further, it is considered the global leader in terms of wheelchair, baggage handling and skycap services. 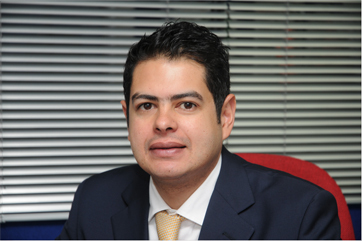 Overall, Air Serv generates annual revenues in the region of US$300m. In September, Delta Air Lines’ US refinery began producing jet fuel. The refinery, which was shut in September 2011 by its previous owner, has recently been undergoing maintenance and upgrades. Delta bought the refinery last spring from Phillips 66 to control fuel costs. The Pennsylvania state government agreed to provide US$30m in assistance for job creation and infrastructural improvements whilst the purchase price (US$150m) was contributed by Monroe Energy, the owner of Delta Air Lines. Delta has said that it expects to invest about US$100m in the infrastructure to modify it for an increase in jet fuel production, and that it is aiming initially at an output of some 52,000 barrels a day. Delta thus becomes the first US airline to buy an oil refinery in an attempt to better manage the vagaries of the petroleum market. The airline expects the refinery to reduce its annual fuel bill (which reached US$12bn last year) by around US$300m. Delta Air Lines’ President, Ed Bastian, said in a conference that Delta could save even more, since the carrier was looking to bring in Bakken crude from North Dakota to supply the refinery at prices that could be equivalent to West Texas Intermediate or lower. Got to keep the customers satisfied? The number of complaints made against airline services increased by 92% in the US in July, totaling 2,466. This was also up by 49% on the number recorded in June. Airlines reported 18 tarmac delays of more than three hours on domestic flights during July and one tarmac delay of more than four hours on international flights. In all, 16 of these occurred on July 13 at Chicago O’Hare airport, which suffered storms. According to a new law that took effect in 2011, all US and foreign airlines operating at least one aircraft with 30 or more passenger seats must report long tarmac delays occurring at US airports. Whilst on-time performance among US carriers in July fell to 76% (from 77.8% in 2011), the good news was that the number of cancellations also declined, to 1.4% of scheduled domestic flights. The mishandled baggage rate also fell, to 3.52 reports per 1,000 passengers. American Airlines has contacted more than 11,000 workers to inform them that they could lose their jobs as part of its ongoing bankruptcy process. Further, it has been cutting flights by 1-2% in September and October. The US carrier, which filed for Chapter 11 protection last year, expects fewer than 4,400 people will actually be laid off in November and December. The redundancy notices were issued under the Worker Adjustment and Retraining Notification Act, which requires employees to be informed 60 days before major lay-offs or plant closures occur. About 800 employees have agreed to leave American Airlines voluntarily, a move that should further reduce the overall number of expected lay-offs. Flight schedule cuts for September and October were partly down to an increase in pilot illness days, along with greater maintenance reports by flight crews, which had led to flight cancellations and delays. American has also begun implementing cost-cutting procedures for its union pilots after gaining bankruptcy court approval to abandon its collective bargaining agreement with the Allied Pilots Association. A total of 18 employees at New York’s JFK airport have been arrested for allegedly stealing 100,000 miniature bottles of alcohol. The bottles were taken from LSG Sky Chefs, the caterer which stocks American Airlines with food and beverages. The arrests come in the wake of a nine-month investigation. Amongst the accused are 15 truck drivers for Sky Chefs, along with three airport security guards. The drivers have been charged with grand larceny and possession of stolen property worth more than US$750,000, which included perfume and cigarettes. It appears that the Sky Chefs drivers were responsible for removing the unsold bottles from each flight. Whilst these bottles should have been taken to a storage facility within the airport, the truck drivers were placing a percentage of the bottles into bags and taking them to their own vehicles in the staff car park parks. Guards were bribed at security checkpoints to facilitate the operation. Mid-September saw United Airlines celebrate the perfect attendance of 11 employees at an event at Chicago O’Hare International Airport and award each employee a new Ford vehicle. The employees, representing six work groups and based in seven cities around the globe, each achieved perfect attendance during at least one of three six-month periods beginning July 1, 2010. Thousands of employees were eligible, and United randomly selected 11 winners in a drawing in May. Each winner chose between a Ford Explorer, a Ford Escape, a Ford Mustang and a Ford Focus. The company is to pay all expenses associated with the vehicle, including sales tax, title and license. “Our people and their commitment to service and reliability are at the core of our effort to build the world’s leading airline,” said Donna Towle, Vice President of Employee Relations at United. “Perfect attendance facilitates a work environment of dependability and trust, and enables us to provide our customers with consistent, reliable service.” Eligible employees may participate in an annual drawing to win a new vehicle, with the company awarding 11 new cars each year. Employees are also eligible for a rolling six-month perfect attendance award of US$50 in cash, a US$50 donation to United’s employee relief fund on the employee’s behalf or 5,000 frequent flyer miles. Air Canada has said that it is looking to add over 1,100 new employees to its workforce during the next 12 months. This is partly in preparation for the launch of its new budget carrier in 2013. Whilst a number of these staff will be working with the new airline, the rest will be taken on at Air Canada’s mainline carrier. The total will include around 400 flight attendants and about 500 permanent, part-time and full-time airport customer service agents and baggage handlers. Aside from this, the carrier will be adding staff to its call center operations in both Montreal and Toronto. Once the preserve of the backroom boffin, today IT is eagerly embraced by a sector anxious to prove its cutting edge. IT: these days airports, airlines and handlers couldn’t exist without the technology that has come to typify modern life. So, if IT has been the saviour of the industry, what exactly have been its benefits? We look here at a couple of the biggest exponents of IT to see exactly how they have helped to shape the sector. Amadeus, as a brand, needs little introduction: globally respected and a company that has made its mark through cutting edge technology, it has brought aid to many enterprises within the air transport industry. Most recently, it started working closely with Southwest Airlines with a view to introducing its Altéa reservations solution to support the carrier’s international service. The upshot of this will see the implementation of Amadeus’ technology that will allow Southwest to operate international flights in 2014. AirTran Airways, which is a wholly-owned subsidiary of Southwest, currently serves international destinations and so as AirTran international flights make the transition to Southwest, so Amadeus will support Southwest’s international schedules. The largest airline in the US by domestic passengers, Southwest coincidentally is also the first low cost carrier to have adopted such a sophisticated IT system for managing its operations and sales. Gary Kelly, Southwest’s Chairman, President and Chief Executive Officer, recently gave an interview in which he spoke, inter alia, about the coming transition. He said that since 2011 Southwest had made significant progress integrating AirTran. “We’ve consolidated the AirTran headquarters function into Dallas. We’ve implemented all new aircraft maintenance management technology. We have implemented technology to support multiple fleet types. We’ve, of course, received our single operating certificate from the FAA. We have also, since then, launched conversion lines to move AirTran 737s into the Southwest Airlines livery: that work is underway. We plan to get 11 airplanes converted here in 2012. We made significant changes to AirTran’s revenue management processes and significant changes to AirTran’s flight schedule, including the redeployment of aircraft to new markets – hopefully more lucrative international markets. Southwest’s technology is all domestic and the announcement that Amadeus had been selected as its reservations technology solution was probably no great surprise. Gary Kelly went on to mention that Southwest had, in fact, five strategic initiatives lined up, initiatives that would be introduced over a period of time. The Rapid Rewards program and the B737-800 are already underway: the other three comprise the Air Tran integration, fleet modernization and the reservations system replacement. Gary Kelly was cautious about naming a date for the roll-out of the cross-selling function, saying that it might be a case of codesharing later rather than sooner. On the topic of the cutover to the new reservations system, Gary Kelly admitted that it was difficult to predict exactly the outcome in a changing marketplace. Would the new system be working side by side the old – or would the two integrate? However, it was stated that there would be a period of time during which Navitaire, which is the AirTran system, and Sabre, the current RES platform and Amadeus, which will be the international platform, are all talking to each other. All that is contemplated within the plan. In the fullness of time there would be just one system running, confirmed Gary Kelly. The Amadeus Altéa initiative for Southwest Airlines will be implemented in a phased approach: the first phase of the project will see Amadeus support Southwest’s reservations for its international business, which includes implementation of the Reservation and Inventory components of the Altéa solution (domestic reservations will remain on the current Southwest Airlines platform during this phase of implementation). Phase 1 implementation is scheduled to begin in early 2013. Phase 2, should it be activated, will see Southwest Airlines add the Altéa DCS – Customer Management solution for its international operations only. Phase 3 of the contract will mean that in addition to international flights, Amadeus Altéa will support all of Southwest’s domestic business using the three core components of the Altéa platform (Reservations, Inventory and Departure Control Customer Management). Southwest’s current IT system is not capable of handling international flights, and so the Altéa system will help to support the airline’s international growth strategy. The Altéa IT system will also allow Southwest to interline and codeshare on its international flights, as well as provide a more personalized customer service. This deal is significant for Amadeus because it concretely demonstrates the suitability of Altéa for supporting low cost carrier sales and operations as well as major network carriers. Back in November 2004, Swissport USA started a project that was designed to significantly improve the resource planning processes at its domestic stations. Up to that time, its various stations had been using internally designed Gantt charts for planning on Excel. In order to improve the efficiency of the planning process, Swissport USA’s initial project involved the implementation of GS Planning. The pilot station chosen was Miami and subsequently the system was rolled out to Los Angeles. Shortly after this, Swissport’s project team determined that the end result that the stations really needed was not just a Gantt chart with the total daily shift demand but an actual shift schedule. At that point Swissport decided to implement GS Rostering. Los Angeles became the first station that went into production with both systems. Two years on, Swissport USA’s management came up with the vision of a centralized department located in the corporate home office that would serve the planning and scheduling needs of the various stations. A team of five staff was hired for this purpose. After receiving GS Planning and GS Rostering training, the team started generating weekly schedules for Swissport’s stations at Washington Dulles International, Chicago O’Hare and John F Kennedy International in the East region; Miami airport in the South; and Los Angeles and San Francisco airports in the West. The success of the initiative most recently led to the addition of Toronto and Vancouver airports in Canada as well. The core planning/rostering team was complemented by the operational staff at each of the stations who, after receiving end-user training, were enabled to deploy the centrally-produced strategic and tactical plans and rosters into the “day-of-operation” environment. An additional three people were employed for the core team. This has meant that now a team of eight staff take care of planning and scheduling the staff in terms of all ramp-related functions (such as loading, unloading, bag room and cleaning tasks) for eight Swissport US and Canadian stations. Based on the success of the project in North America, Swissport Americas went on to implement GS RealTime for its large operation in Brazil during the course of 2010. Things had progressed further by the end of 2011: by that date, the Centralized Resource Competency Center for Swissport Americas had successfully implemented GS RealTime at its two largest Canadian stations, namely Toronto and Vancouver. The same was launched in JFK during the month of June and at the time of writing Swissport is looking at a further roll-out of GS RealTime around the rest of the US stations. Furthermore, it is now reviewing the introduction of GS RealTime in Brazil at some point during 2012. The sheer size of North America, and the number of airports it contains, presents both opportunities and challenges to ground handlers. With many operators having a presence at many airports across the region, covering everything from small regional stations to the largest international hubs and a cross section of domestic and international carriers, IT has a crucial rôle to play in ensuring operational efficiency. Ground handlers working on this scale generate huge amounts of information to be collated and presented to the operation on the day, which are then further gathered and shipped to the corporate office for onward billing, business intelligence and management reporting. Traditionally, much of this has been a costly, manually intensive paper based process. Replacing and enhancing this with the right automated systems has a hugely positive impact, streamlining procedures and ensuring rapid, effective distribution of information. Several of Damarel’s customers in the region have wholeheartedly embraced this approach and consequently reaped the rewards it brings. By delivering standardized operational systems to all stations, they have adopted a simplified IT strategy that provides immediate access to performance and financial information across the entire network. One of the keys to a successful operation is accurate and timely information, ensuring that all departments are kept up to date and ready to meet any potential challenges. Equally, the recording and tracking of all activities to ensure accurate and timely billing is crucial to maintaining a steady cashflow. “Before the introduction of the FiNDnet Suite, stations were working with what they could get locally, which often meant disparate information sources, such as the airport’s FIDS and telex messages: information was patchy and required manual collation and distribution,” says Paul Bruton, Damarel’s Consultant Sales & Marketing. It is no exaggeration to say that the introduction of the FiNDnet Operational Database to stations has revolutionized the operational environment by providing a central source of real time information, collated automatically from a number of diverse sources. Real operational awareness has been delivered to all areas, from the Operations Control Centre through to the Crew Room. With feeds from systems such as the Type-B networks, ATC and in some areas the airlines’ own systems, information is now both timely and accurate, allowing handling teams to focus on and improve service. With an automatic electronic record of all flight activity, this can now simply be made available to the corporate office, removing the historical overheads of preparing and sending these details. Of course, there is also the supplementary question of establishing and recording all the ancillary services. Historically, for many organizations this involved a great deal of paper, which then required local collation, followed by despatch to the corporate office and a central administration to process it all. This is where FiNDnet Services comes in. The tool allows handlers to record the services electronically as they happen, either from a PC workstation or mobile device. The immediate electronic capture of all the service details has removed downstream processing overheads and, in some cases, reduced mailing costs by thousands of dollars a month. That covered the needs at the station’s operational level, but what about the corporate office? The administration of the billing process has traditionally been heavily manual, involving the movement of large quantities of paperwork cross-country to be processed by the central billing section. Further processes were subsequently involved in preparing the invoices for mailing out to customers. Here, the FiNDnet Automated Billing module has had a huge impact. As the name suggests, this is an automated tool. It receives the operational details from stations electronically, generating the invoices within a matter of minutes and handing off financial details to corporate accounts, all with minimal manual intervention. The tool has allowed clients to reduce significantly the time it takes to get the invoices out, thereby improving revenue flow whilst also significantly cutting the staffing overheads required. The delivery of the invoices to customers has also improved appreciably with the move from old-style envelopes and postage to full electronic invoicing. The invoices are sent to customers via their preferred medium, whether that is a standard industry eInvoice provider, e-mail attachment or access via a corporate Web portal. As a result, costs are further reduced and speed of payment is improved. However, it doesn’t end there. FiNDnet Automated Billing, with its seamless automation, provides revenue visibility on a daily basis, allowing cumulative revenues to be monitored against budgets, enabling pre-emptive action to be taken where necessary without having to wait for manual invoices to be produced the end of the month. Overall, the FiNDnet Suite has allowed Damarel’s clients to achieve significant savings across their business, streamlining many workflows and improving revenue collection, while allowing them to provide better customer service. Damarel looks back on five years’ experience of providing IT solutions to the US and recently implmented the above solution for a major handler there. The story behind a story of our time: the HeliRoll. A quarter of a century ago, the FMC Airline Equipment Division (now known as JBT AeroTech GSE) introduced a revolutionary product that would become one of the greatest success stories in the history of airline ground support equipment. The newly released Commander loader, with its modern, clean looking appearance introduced many new enhancements never seen on cargo loaders, including a swing-out power module, extendable operator cab, powered bridge wings – and something dubbed the HeliRoll conveying system. Looking back, of all of the enhancements, arguably the HeliRoll application had the greatest impact and it helped make the Commander the biggest selling cargo loader around the world. The HeliRoll conveyor system evolved as the result of customer input that demanded a more reliable and efficient method to move containers and pallets on cargo loaders. Up until 1986, most loaders used rubber belts, rubber wheels and cylinder rollers to convey their loads. For the operators, the current loader conveying systems were slow and laborious and it was not uncommon for containers to be manually jostled on the bridge because of the lack of side shifting features. Maintenance on these systems was costly because the rubber belting would suffer cuts from damaged containers and conveying-lifting systems (which were used to side-shift on the rear platform) becoming damaged through the ingress of foreign matter. FMC duly formed a cross-functional team, comprising staff from its engineering, sales, field service, purchasing and manufacturing sections, to come up with a new loader to replace the JC/PL-2. One of the key areas that they focused on was how material in other industries was conveyed. The idea of HeliRoll conveying came about after one of the team members described an augur system that they had employed whilst growing up on a farm. The augur idea was transformed into a crude model, which showed a lot of promise during testing. Tests with the early model revealed was that it was possible to convey product on a flat surface without the use of lifting mechanisms extending and retracting when the need arose to change the product’s direction. The next task was to identify, or design, components that effectively and efficiently conveyed product. Several items were looked at, including an array of omni-rollers and powered wheels. None of these, though, was effective in performing the required functions of container side-shifting and rotation, two key elements in conveying efficiency. The FMC team came to the conclusion that an optimal system was not available – and that it would be up to them to come up with the solution. What the FMC team came up with was the HeliRoll, a unique wheel cluster, or cluster hub, with six freely rotating rollers, positioned at a 45º angle around the hub’s perimeter. When rotated on a shaft, the HeliRoll exerts a force at an angle of 45º to the axis of the shaft. The HeliRoller clusters are either right handed or left handed and work in unison or against each other to move the loads. For example, when conveying a straight load, the HeliRoll clusters move in the same direction, but when side shifting, they work against each other. For rotation, the HeliRoll clusters are mounted in a specific area that allows four opposing forces to create a circular motion. All conveying operations are performed on a single plane, without the need to extend or retract other components. The HeliRoll base and rollers were constructed of aluminum for long life, to be free of rust and to minimize the wear on containers and pallets. For the end user, the operator, the system was very simple. The loader was divided into three segments, rear-rear platform, front-rear platform and bridge. One joystick in each segment conveyed the load forwards, backwards and sideways. A rotation switch allowed the load on the rear platform to turn. The conveyor system was augmented by cylinder rollers in areas where side-shifting was not necessary. The final outcome was a conveyor system that was fast, easy to control, totally alive and with no dead spots, thereby eliminating the jostling of containers by the operators. JBT declares that the totally live deck is essential when conveying pallets and containers that may have warped or damaged bottoms. FMC engineers worked with Commander customers in the field, in order to find ways to enhance the Commander’s revolutionary conveying system. In 1990, after extensive field and laboratory testing, the HeliRoll’s rollers were redesigned with new bushings and a curvature design that optimized the movement of the load when it came into contact with the ULD’s surface. With the improved design, the HeliRoll conveyor system has shown itself to be 100% reliable in the worst environmental conditions. Enhancements were also made for maintenance of the conveyor system. The drive chains now have simple adjusters that can be easily accessed and tightened. In the past, when a HeliRoll needed replacement, the platform deck and shaft had to be removed. Today, when replacing a HeliRoll, the damaged cluster is simply cut off and replaced with a two-piece field kit. This task can be performed in less than one hour from under the raised platform with no need to remove the deck plate or shaft. Dependability is another key element in the design of the system. Should a HeliRoll cluster become damaged, the system keeps on working, without any interruption to the operation. In fact, depending on the location, several clusters could actually be damaged and the system will still operate, with a minimal loss in efficiency. This conveying system is not just limited to cargo loaders, though. JBT AeroTech has been very successful in selling HeliRoll transfer decks to air cargo facilities around the world. 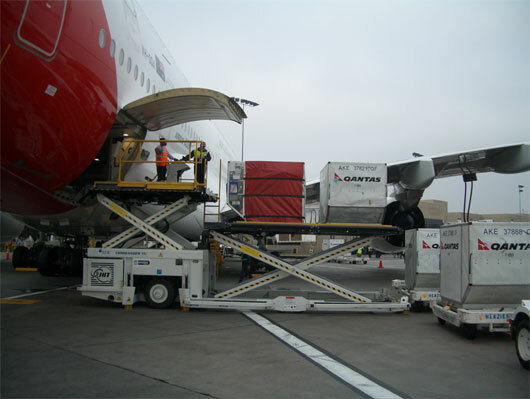 The transfer decks are integrated with the air cargo facilities’ handling systems at transition points and loading areas, or anywhere where the loads must side-shift or rotate. All JBT AeroTech transfer decks require very little maintenance and do not require any embedding into the warehouse floor surface to accommodate mechanical lifting mechanisms. Other JBT AeroTech products utilizing the HeliRoll include the CLT-8 loader/transporter for side-shifting on the front platform and optional rear container rotation. Moreover, HeliRolls enable the CPT-7ST transporter to efficiently side load, as well as end load and front load ULD containers and pallets. The popularity and success of the HeliRoll can be measured by the success of the Commander family of loaders, which comprises four models capable of moving loads ranging from 7 tonnes (15,500 pounds) up to 30 tonnes (66,000 pounds). To date, over 5,300 Commanders have been sold worldwide, making it the most popular cargo loader every built. Without doubt the HeliRoll has been a key element that has enabled the Commander to provide a lower cost of total ownership. In all, JBT AeroTech estimates that over 1.4m HeliRolls have been installed in Commander CLT-8s, CPT-7STs and transfer decks since 1987. That’s a staggering total. Moreover, to date, approximately 56,000 HeliRolls have been sold through JBT AeroTech’s spare parts sales. On that basis, approximately 96% of all the HeliRolls installed are still in use today. In fact, many of the Commander loaders that have been rebuilt actually returned to service with their original HeliRolls intact. In summary, it is fair to say that JBT AeroTech’s novel system has played a major rôle in the success of the Commander family of loaders and transfer decks. It has eliminated the dead spots on the conveying surface and has given the operator complete control of the load at all times. HeliRolls have proven to be durable and to require little maintenance. Over the years, there have been several attempts by competitors to duplicate this conveyor system, but so far, none has succeeded. That fact alone says it all. Ten years on, Jose Manuel Guzman, Sales & Marketing Manager at Avianca Services, unfolds the story of this Latin American handling enterprise. In the beginning, there were two aviation companies: Aerolíneas Centrales de Colombia (Aces) and Avianca Airlines. When, in 2002, par merged, it was clear that duplicate ground handling teams were not required. Each airline had its own handling division so logic dictated a centralized ground handling function. A working team of seven Avianca executives led the start up of a Business Unit called Avianca Services, which implemented a business model focused on satisfying other airline customers in the ground handling market in Colombia. They pooled resources with the aim of delivering a consistent service. Early customers included Delta, Mexicana, Copa, Taca, Cubana and Iberia. He is aware, though, of the changing face of the industry sector. “There are major competitors coming to the region,” he says, “and this requires Avianca Services to strengthen its expertise in the provision of services with both warmth and kindness, and continue its research in technology and improvements that contribute to the optimization of time and results for our customers. Jose reveals that his operation has been pro-active in terms of making the handling operation as green as possible and the reduction of the company’s carbon footprint has been a priority. All of Avianca’s employees are currently receiving a representative part of their Avianca Services Training through AVANCEMOS, which is an on-line training site belonging to Avianca. This, he declares, has made a great impact on his staff. There has been a decrease in the time spent in formal training with a concomitant better training coverage for the employees. “On the other side of the coin, Avianca Services has implemented a yearly renewal program for its GSE. This assists our labor force and ensures that the ground handling service provided to our clients comprises state-of-the-art equipment. In closing, we asked Jose for a tip or two for anyone reading this who might be thinking of breaking into the ground handling sector. What, in his view, were the key requirements of making an operation work satisfactorily? In an ideal world, aviation stakeholders are all working hard towards a greener future. But just how quickly is that dream being realised? Most readers are aware that the so-called green movement has its roots in the West Coast where, for many years, pollution has been a daily problem. It’s no surprise to learn, then, that in this area more than mere lip service has been paid to the concept of cleaner air. Progress has been steady and much has been written about the initiatives and developments that have occurred to improve the quality of life within the region. However, such progress is reliant on many factors. For certain, airlines and handlers have been pushing for change, but what about the airports themselves? Do they have much of a contribution to make to the overall scene? And can they call the shots, if required? In this feature we talk to them, as well as the other stakeholders, to try and gain an overview of the status quo. According to Roger Hooson, Senior Planner, Landside Operations at San Francisco airport, a lack of funding in recent years has slowed down the pace of the green movement somewhat. But, arrested though it has been, the process is continuing. A question of quality At San Diego, it is a slightly different story. “Airports have started to go green but mostly it has been the carriers that have led the way,” declares Brett Caldwell, Airport Planner at San Diego airport. That said, the airport authority conducts an annual inventory of all ground support equipment, which is part of the station’s overall Air Quality Management Plan. Brett takes up the story. “The Air Quality Management Plan identified and evaluated specific aircraft ground movement emission reduction measures. Some of those measures included assessing aircraft taxi-in and taxi-out times, single-engine taxi-ing procedures and other ground-based greenhouse gas emission reduction measures. “In addition, Southwest Airline gates at San Diego all have 400 hertz at-gate power and pre-conditioned air units. The airport is also installing 400 hertz at-gate power and pre-conditioned air at an additional 19 gates. Having these power and pre-conditioned air units reduces the air emissions associated with aircraft parked at the gates. He adds that San Diego International currently has 41 gates, a figure that is set to increase to 51 gates by the summer of 2013.The airport will also be trying to acquire additional funding for projects to reduce the air emissions associated with its ramp operations. It’s worth noting, too, in this context that both the airport and its airlines do have recycling policies. In fact, the airport authority has won the City of San Diego Recycler of the Year Award for the last six consecutive years: that would be overwhelming proof of its ongoing commitment to the environment. Sea-Tac’s work in the environmental area really got a fillip in 2010: that was the year when the airport authority received some US$18.3m from the Federal Aviation Administration for a project expected to reduce greenhouse gas emissions. The Voluntary Airport Low Emissions grant was aimed at funding the construction of a pre-conditioned air project that would make Sea-Tac one of the nation’s few airports with a centralized system, one that covered the entire airport. It was a landmark moment and scientists had calculated that such an initiative would cut down on CO2 emissions by up to 50,000 tonnes a year. In addition, airlines were expected to save up to 5m gallons of fuel annually, which equated to some US$10m a year. Aircraft on stand would have the facility for hooking up to the pre-conditioned air units on the gates. Their usage allowed aircraft to dispense with auxiliary power units, the use of which generates pollutants; moreover, the aircraft would not expend fuel on running their on systems. To get the cool air aboard, piping was introduced – and an estimated ten miles of piping was to be used to complete the project. In all, the cost of the entire project was estimated to be just over US$33m. Of this sum, the US$18.3m grant was to cover the first phase of the project that would encompass 53 of Sea-Tac’s 81 gates. The remaining cost was to be paid through Airport Development Funds, which would come directly from fees charged to airlines. Indeed, the carriers have been a useful driving force in this initiative. It was calculated that these fees would be more than offset by decreased airline operating costs that were put at US$10m per year for airlines at Sea-Tac. Although the end of 2011 was set as the target date for the completion of phase one, that date has since moved to the autumn of 2012, with the entire project due to be completed by the end of this year. According to the airport’s spokesman, this is no small undertaking. Overall, the project’s main objectives were to decrease the amount of energy used to heat and cool the aircraft and shift the energy demand from fossil fuels to low carbon, electrical sources. Less CO2, minimized life-cycle costs, lower fuel consumption and less noise on the ramp were all useful gains to be found within the framework of the exercise. The first phase of the PC Air project has seen the construction of the Central Plant, portions of the Chilled and Heated Water Distribution System, the purchase of the gate delivery equipment and installation of the gate delivery equipment at approximately 50 of the 73 gates. Another project getting underway relates to the use of electric GSE. Currently being put together is a pilot project for chargers on the ramp that is expected to spread to all areas. This is scheduled to be up and running in October. The airport has a 25 year plan when it comes to environmental matters. Since 2005, for example, it has been using underground hydrants to transfer fuel to passenger gates, obviating the requirement for bowsers, which obviously cause pollution. Annually, this measure has reduced levels of CO2 by 42,000 pounds a year whilst 64,000 pounds of nitrous oxides have been saved. In October 2011, the Port of Seattle Commission adopted a number of policies, all of which were aimed at pushing Sea-Tac to the forefront of US ports for environmental stewardship and energy efficiency. Measures mooted included reducing air pollutant emissions by 50% compared to 2005 levels; reducing aircraft-related greenhouse gas emissions by 25%; and cutting carbon emissions by 50%, based on 2005 data. Denver airport’s background is an enviable one in terms of sustainability and environmental concern. In fact, the airport’s environmental management has chalked up many accolades over the last few years, both in the US and on the international stage. In 2004 it was accepted into Colorado’s environmental leadership program as a Gold level member. It was also, inter alia, the first airport in the US to join the EPA’s National Environmental Performance Track Program: that was back in 2006. A year later it received the FAA’s Environmental Stewardship Award. Today, the airport recycles or reuses 21 different types of materials, including around 71% of collected aircraft de-icing fluids, something that should be elaborated on here. The fifth busiest station within the US is known for its winter ski-ing season which of course infers that there is plenty of snowfall – and because of this fact, de-icing procedures are an important element of ramp activity during the winter months. Whilst airlines and handlers take responsibility for much of the green movements on the ramp, nonetheless the airport authority has its say when talk turns to safe operation and keeping the environment clean. Much, but not all, of the de-icing takes place at remote pads at the airport and the authority has seen fit to introduce various rules about moving aircraft safely off stand to these remote pads. An initial spray at the gate entails the employment of Type 1 undiluted fluid, which is restricted to 25 gallons in total per application. A simple trench system around the gates ensures the spent fluid is collected but because it’s a large area, so the fluid becomes very diluted. Where the glycol content falls below 1% it is not worth (in economic terms, at least) recycling. Interestingly, Great Lakes turbo-props are de-iced on the stands rather than out on the pads. Because these regional jets are small, it’s deemed better to treat them separately: in that way, the bigger carriers experience no hold ups on the remote pads. Great Lakes has a busy schedule at Denver and so the fleet’s run-off accumulates in an average day. An underground pan catches the spent fluid and this can be considered a customised solution for the carrier. Nevertheless, Denver airport runs an efficient glycol recycling operation, which dates back a couple of decades. This was vastly upgraded in 2004, thanks to a new contract that saw the introduction of mechanical vapour recompression units, amongst other features, which have since more effectively addressed the separation of glycol from waste water. But what about those remote pads? Having a dedicated area (or in this case, areas) means that with the huge volume of traffic that passes daily in the winter months there is a proportionately large quantity of spent glycol to recover. In all, about 71% of its used glycol is reclaimed and recycled. When the strategy got underway back in 2004, that season saw 306,785 gallons recouped. Since then, around 558,000 gallons has been the annual average, which equates close to US$3m in terms of value. Greenprint Denver, the City’s Sustainability Initiative, includes a goal of 69% total collected of applied aircraft de-icing fluid. The percent collected comprises three components, namely volume of glycol reclaimed, volume of glycol sent to the wastewater treatment plant, and the volume of glycol waste sent to landfill. The airport has met or exceeded the 69% goal for the past eight years and the spokesperson says that it is always striving to increase its collection efficiency for both environmental and economic reasons. However, it’s not all about de-icing. Keith Pass, the airport’s Environmental Program Administrator, says that the authority encourages the adoption of greener GSE, too. Compressed natural gas is used extensively around the site and indeed, Denver’s fleet of CNG-powered vehicles is amongst the largest that you’ll find in the country. Currently there are in excess of 300 vehicles that rely on alternatives to diesel: a good number of these (over 100) are battery powered whilst some are running on a combination of battery and hybrid power. Helping the electric side of the equation has been ongoing work on solar panel arrays: Denver International currently has no fewer than three solar array systems that produce approximately 6% of the airport’s total power requirements. 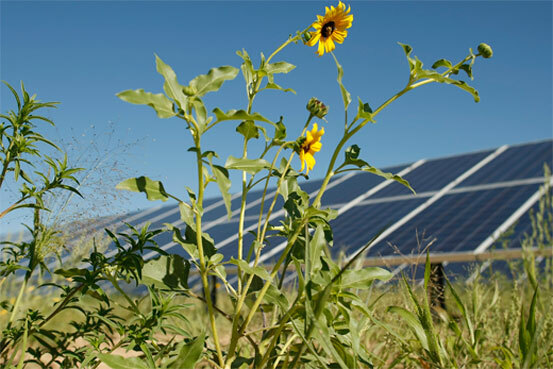 Such output makes the airport the largest distributed generation photovoltaic energy producer in the state of Colorado. Whilst bio-diesel has also been trialled here it was found that performance was impaired by the very cold weather that can be a feature of this particular station. The greener GSE fleets are augmented every year and Keith notes that handlers are generally receptive to this ongoing change; handlers are also looking at other stations for materials and leads that could be useful to their operations at Denver. The other big news at the station has been the installation of pre-conditioned air units on jetbridges, which has the positive effect of cutting down aircraft engine use whilst on stand: all stands are thus equipped, with commensurate benefits. According to Susan Fizzell, who is Environmental Planner at Oakland International airport, the authority is engaged in a number of initiatives to make the ramp more environmentally-friendly. “We recently completed a project that provides 400Hz at all our gates, as well as remote parking locations that will reduce the amount of jet fuel burn at gates,” she reveals. “Pre-conditioned air is provided at most gates now and we are working to complete its installation on our remaining gates, again with a view to reducing jet and diesel fuel burn. Aside from this, we have installed bridge power managers that allow GSE to be charged from the bridge traction power supply when the bridge is not in use. On a slightly different note, in April this year the airport hosted an AOA Spring Cleaning event which targeted the airfield and ramp areas. A staggering total of 20.4 tonnes of débris was collected, of which 18.6 tonnes was recycled. Similar events are due to be held on a semi-annual basis, with the next one planned for October this year. At Massport, the situation is a little more complicated. According to Stewart Dalzell, who is Deputy Director Environmental Planning and Permitting, nearly all of the station’s ramp areas are managed by individual airlines and/or FBOs. As such, there would seem to be many different procedures in place and there is no one individual at Massport that directly manages these ramp practices. Airlines: the key to the equation? Whilst airports, as landlords, understandably take more than a passing interest in their environment, most of the time it is the airline that is prompting change for the better. Southwest is just one example in this context, and it boasts an industry-leading electric ground support equipment program, which covers both conversion and new purchase. Marilee McInnis, as spokeswoman for the carrier, says that Southwest has committed to entering new markets such as Charleston, Greenville-Spartanburg and Newark markets with new electric beltloaders and baggage tractors. “With these new markets, we added 21 cleaner-burning units of GSE in 2011, yielding reductions in both fuel use and greenhouse gas emissions,” she confirms. “Many of our original GSE have reached the end of their useful life, and in 2011, a large number of GSE were replaced with new, cleaner-burning diesel equipment. These new GSE, combined with the continuation of our GSE diesel-to-electric conversion program, brought the total number of cleaner-burning GSE in our fleet to more than 1,300 at the end of 2011. Modifying gates to provide power is another strategy that Southwest has embraced. “Over the past few years, we have worked both internally and with airports to install gate electrification equipment. Now available in all cities where Southwest Airlines operates with bridge-based boarding, gate electrification allows our aircraft to be powered by electricity instead of jet fuel while parked at the gate: this represents a potential savings of more than 46,000 gallons of fuel in a single day. We continue our focus on immediate hookup, typically within 90 seconds of parking at the gate, to gate electrification equipment to maximize fuel savings. With a 28 minute average turn time and a conservative estimate of six minutes to hookup and unhook gate electrification, this focus on immediate hookup can result in 22 minutes of avoided auxiliary power unit use, which in turn means a saving of approximately 15 gallons of fuel per event. However, gate electrification cannot be used in all circumstances, such as ground boarding, quick turnarounds, or in extremely windy conditions,” she concludes. Frontier is also working to reduce its impact on the environment, specifically in terms of its airport operations. When it comes to APU usage reduction, Frontier utilizes alternative terminal power systems or ground power units to reduce fuel consumption and emissions where possible. Recent efforts have focussed on reducing the time taken to power off an aircraft’s auxiliary power unit. Single engine taxi–ing has been another feature, and this expedient has been followed for several years, where safe and feasible. In so doing, Frontier pilots have been taxi-ing using a single engine, cutting down on emissions and fuel consumption. GSE materials recycling has been another measure: Frontier’s ground support maintenance facilities work hard to recycle any recyclable materials which are used to help power and run the carrier’s GSE. In 2011, approximately 33,000 pounds of metal and aluminum was recycled from Frontier’s Denver maintenance facility, for example. Back in 2006, Frontier replaced all of its GSE pneumatic tires with webbed tires that not only last significantly longer than pneumatic tires, but are also made completely of rubber, making them 100% recyclable. And glycol recycling shouldn’t be omitted, either: in Denver, more than 70% of Frontier’s glycol fluid fused at the airport is recycled. Meanwhile, United hasn’t been slow off the blocks. Where possible, the carrier provides aircraft parked at the gate with air conditioning and electric power sourced through alternative, emissions-reducing methods. This is in place of an aircraft utilizing its own auxiliary power unit. As other carriers have noted, it’s a cost saving exercise: United reckons that an auxiliary power unit uses 40 to 100 or more gallons of fuel per hour, compared to terminal-sourced power or cooling systems or ground power units, which use, by comparison, under than five gallons per hour. and it tries to ensure that GSE instead of aircraft engines is used to tow aircraft to and from and between gates. Moreover, United’s interest in fuel economy extends well beyond its aircraft fleet: combined, United and Continental operate more than 3,600 alternatively-fueled (or zero-emission) ground service equipment vehicles. In its Denver hub (which has already come in for a lot of environmental plaudits) United relies upon solar power to operate its fuel system. The fuel system relies on nine acres of solar panels which produce 1.6 megawatts of power. This application is sized to provide all the energy required for pumping fuel from the storage tanks to the waiting aircraft. Helpfully, during off-peak periods, United is able to sell power back to the grid, whilst at night and on overcast days, it buys power back from the grid. All in all, it’s an illustration of just what can be achieved if a carrier has the necessary vision and determination. From carriers to the raw materials. If you’re setting out to run a company, the main aim in life of which is to preach the gospel according to the environment, then Clean Energy would seem to be a highly apposite title for that entity. This California-based enterprise is fully focussed on the ground side of the power equation, both on and off airport, although currently, the bulk of its work revolves around landside operations. Chad Lindholm is Vice President for the Western Region and he says that interest in the concept of alternative power, more precisely that of CNG, is growing year on year. At the present time he underlines the fact that Clean Energy is not doing very much in connection with GSE. That’s not because there is no interest in CNG as a means of propulsion: the US is a rich source for this fuel and indeed, Chad notes that his company was behind the extensive infrastructure that enabled Denver airport to exploit this means of locomotion, as mentioned earlier in this feature. No, the overriding factor tends to be that of volumes used: in general, where GSE is involved, the relatively small quantities of CNG employed means that economies of scale are slower to be realized. “You need a significant amount of GSE to justify the adoption of CNG,” he says. “Ultimately, the airport needs to be able to see a return on investment,” he explains. “Once that becomes visible, then things start moving. CNG has much to recommend it: it’s the cleanest fuel around, it’s readily available domestically, it’s abundant and there’s no greenhouse gases to worry about. If you’re using it correctly, in the right places, it can result in savings of up to US$2 a gallon at the pump. “Today, we’ve brought this technology to 30 airports, so it’s no longer just a West Coast thing. At our older installations, Los Angeles and San Francisco, where we have 12 or 13 years’ experience, we’ve a 50% penetration, which means there is lots more potential. In fact, a second facility is due to be built at Los Angeles. These sites, plus Dallas Fort Worth, really showcase what we’ve been able to achieve. “We’ve crossed the US with this technology: Las Vegas and Chicago are just two examples, and with new airports coming through, this technology has a rôle to play. After all, sustainability goals are being set by governments. “In the earlier days, engines weren’t as technically advanced as they are now but all that has changed. We don’t necessarily advocate grants – in some respects, they are not needed, although funding is out there – since the return on investment is proven. Finally, a word from JBT AeroTech, a specialist whose extensive GSE portfolio includes the design, manufacture and installation of jetways. In acknowledging the level of interest in the company’s airbridge products, Jim Cherrett, the company’s Marketing Manager Operations, points out that today, bridges are rarely ordered in isolation, but rather are supplied with pre-conditioned air and 400 Hertz power attached. Delta Air Lines has opened a new Sky Club in Terminal C at New York’s LaGuardia airport: this takes the carrier’s total to 54 in its network. The latest club is actually Delta’s third at LaGuardia. Around 7,600 square feet in size, it incorporates a wall of glazing which overlooks the runway. Amenities include a full service bar, providing complimentary beverages and snacks throughout the day, as well as Delta’s Luxury Bar program. The décor includes aerial landscapes of the region. In addition to opening the new club in Terminal C, Delta is shortly due to enlarge and renovate LaGuardia’s Terminal D South Sky Club. This should be completed by next spring, and will comprise over 10,000 square feet of facilities in all. The latest cuts to affect the Chapter 11 protected airline concern some of its maintenance staff.American Airline executives have said that the company must lose 10,400 jobs as well as reduce its labor costs by US$1.06bn a year if it is to emerge from bankruptcy in good shape. Amongst other cost-saving measures, American’s latest proposals include the outsourcing of up to 35% of its aircraft maintenance function, which is currently executed in house. To that end, American has said that it will be closing its Dallas/Fort Worth maintenance base by the end of the year, which will entail laying off over 800 mechanics. It will subsequently consolidate its major aircraft maintenance operations in Tulsa and at Dallas/Fort Worth International. More than 1,700 mechanics and sundry other workers at American’s three aircraft overhaul bases will be laid off in December and February, officials have revealed. Additional reductions of mechanics and related positions at the Tulsa maintenance base have not been ruled out. Jazz Aviation has announced that its flight dispatchers, who are represented by the Canadian Air Line Dispatchers Association, have ratified a tentative agreement which was reached on August 31, 2012. The agreement will be in place for a six year period. CALDA represents approximately 67 flight dispatchers employed at Jazz. Jolene Mahody, Chief Operating Officer of Jazz, congratulated the staff on reaching this milestone and expressed the hope that this agreement would strengthen the company’s profile within the aviation marketplace. US scheduled passenger airlines employed 1.4% more workers in June 2012 than they did in June 2011, according to a recent study from the US Department of Transportation’s Bureau of Transportation Statistics. This actually represents the nineteenth consecutive month that full-time equivalent employee (or FTE) levels for scheduled passenger carriers have been higher than the equivalent month of the previous year. In June, an FTE total of 390,923 for scheduled passenger carriers equated to 5,540 more than the total for June 2011. This year-on-year growth rate, although down from the growth rates achieved during the last half of 2011, reveals that there has been a gradual increase in the sector’s employment in the wake of the declines that occurred back in mid-2008. Interestingly, virtually all the low cost airline segment reported an increase in their FTEs. Frontier Airlines was the exception, reporting fewer FTEs. 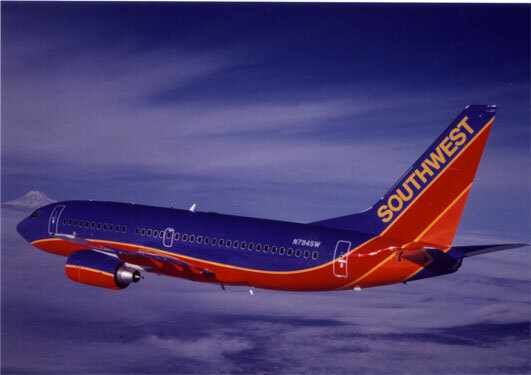 Southwest Airlines reported 46,128 FTEs in June 2012, in a joint report following its merger with AirTran Airways. The combined report was 1,729 more FTEs (or 3.9% more) than the 44,399 FTEs the two airlines reported separately in June 2011. It was a case of mixed results amongst the regional carriers: out of the 15 regionals, six reported reduced employment levels, compared to 2011 figures. At Dallas/Fort Worth airport, the airport board’s concessions committee has approved a seven year lease with American Express to operate a VIP lounge. The decision has been met with disappointment by American Airlines, which runs the Admirals Club within the same terminal. In fact, there is also a third lounge available to travelers with time on their hands: this is called The Club, for which there is no membership requirement. For American Express cardholders (and non-cardholders), access to the lounge is via a daily pass, which ranges in cost from US$40 to US$75. Delta, the largest operator of 50-seat aircraft in the US, will be closing the hangar doors on Comair by October. Moreover, other carriers with subsidiaries, such as Pinnacle and AMR, have filed for Chapter 11 in the recent past. Faced with the cold wind of change blowing through the economic corridors, the big names have had to reassess their regional offshoots – and so cutting out certain regional routes to focus on those that are more lucrative becomes par for the course. The 50-seater has become synonymous with the type of aircraft serving the smaller community, often one in a remote location. Making those remote routes pay, though, has become less and less easy for the big carriers. Delta, for instance, is clipping its fleet of 350 or so commuter jets by over 200 units over the coming years. And if Delta’s example is followed, would-be flyers are going to be facing longer drives to the nearest airport. The big carriers are all citing the same reasons for the cut-backs. Budgetary restraints have put the brakes on new investment and the price of fuel continues to test the hedging experts. Allied to this is the reality of ageing aircraft: maintenance costs are on the rise and every extra aircraft in a fleet represents another cash drain on the already straitened coffers. The difficulty involved in making the small aircraft viable will, analysts believe, ultimately lead to drastically reduced numbers of these aircraft circulating in years to come. Backscatter X-ray machines: transparent technology? There has been growing concern over the country’s 250 or so X-ray scanners that rely on so-called backscatter technology. These machines utilize a narrowly focused beam of high-intensity radiation for scanning passengers. Whilst this beam moves quickly across the passenger, the potential threat posed by the technology is little understood, in part because it is a secret process. At least one professor has said that he believes the radiation dose to be up to 45 times as high as that disclosed by the TSA. Currently, the use of these machines is banned in Europe, a fact that has been noted as significant by those who feel the technology requires more study. To that end Congressman Steve Israel has called upon the TSA to conduct a thorough investigation into the use of this particular type of X-ray machine. United Airlines is to further strengthen its commitment to sustainability and the environment by joining the Sustainable Aviation Fuel Users Group. This is an industry working group whose objective is to accelerate the development and commercialization of aviation biofuels. Overall, the group’s members represent around 32% of commercial aviation fuel demand. Air Canada has selected CHEP Aerospace Solutions to supply and manage its fleet of unit load devices. CHEP Aerospace Solutions will be acquiring Air Canada’s existing fleet of ULDs (which numbers more than 8,000 airline containers and pallets) and will migrate them into its shared ULD fleet over time, taking CHEP’s total ULD pool to in excess of 53,000 items. Outsourcing its ULD management to CHEP will thus enable Air Canada to eliminate the administration element whilst reducing the cost of positioning, maintaining and managing its own ULD fleet. Air Canada’s decision to outsource this critical operational activity to CHEP Aerospace Solutions comes in the wake of an in-depth, due diligence process on the capabilities and value of outsourcing. Key to Air Canada’s decision was CHEP’s extensive ground service support team and its global maintenance and repair network that covers 50 stations worldwide; as well, the synergies and cost savings available from sharing assets with other CHEP airline customers was deemed a significant factor. Air Canada’s Vice President, Cargo, Lise-Marie Turpin, said that the decision to partner with CHEP Aerospace Solutions had come after a lengthy and detailed analysis conducted by the Air Canada team. The results of the analysis revealed that CHEP was the best provider to deliver the requisite cost-savings and efficiencies. In turn, CHEP Aerospace Solutions’ President, Dr Ludwig Bertsch, added that he was proud to have Air Canada as a business partner. Delta Air Lines has announced that it will be shutting down Regional Elite Airline Services. This is the subsidiary that performs ground handling and customer service for its regional carrier flights. The subsidiary musters about 4,000 employees around the US and its operations are likely to be taken over by the end of the year by other companies, including another subsidiary, that of Delta Global Services. Delta hopes to be able to provide job opportunities at the same locations for the vast majority of affected workers.